Michael Goldman, President of Facilitation First wanted to share a great article highlighting the role facilitation plays in diversity and inclusion in the workplace. Here are his thoughts on the Fast Company article, “What ‘Facilitation Really Means and Why It’s Key to the Future of Work”. Article excerpt below. Back in the day when I attended my first facilitation skills workshop I walked out excited, enthralled and ready to take on the world using collaborative techniques to help enhance team and organizational performance. The only problem back then was much of the business world didn’t recognize the value of leveraging inclusion and diversity to drive better decision-making. Now 25 years later, organizations have come to recognize, as Brandon Klein (Fast Company) suggests, they ‘need people who know how to harness diversity of thought and channel it productively.’ I couldn’t agree more. To ensure inclusion and to leverage diversity, facilitators must ensure safety so that all participants feel that they can contribute, therefore allowing unique perspectives to be added to the mix. Facilitators are therefore ‘engagement experts’ trained on a plethora of techniques that encourage all types of participants to engage and collaborate. Klein speaks to some of the tools such as: sub-grouping larger groups, encouraging the team to look at problems from different angles, and using facilitation to discuss tough conversations involving diversity and bias. 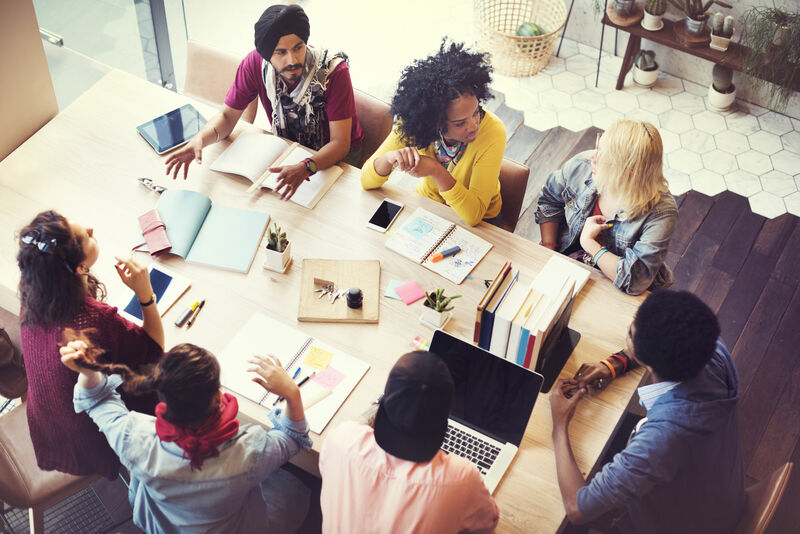 This article reinforces the need for facilitation in the workplace for enhancing the ever-growing need for leveraging diversity and inclusion to help organizations achieve their goals. What other ideas are you using or noticing that help to leverage diversity and inclusion in your organization? I am interested in your comments. As the general population diversifies, so will the workplace of the future, and forward-looking companies are already hard at work to actively diversify their ranks. People with different backgrounds and points of view chipping away at the same problem together are more likely to reach creative solutions. But it isn’t inevitable that they’ll do so all on their own, without a facilitator to guide things. One reason facilitation is becoming an even more important job skill going forward is because organizations will need people who know how to harness all that diversity of thought and channel it productively.